October is National Bullying Prevention Month. 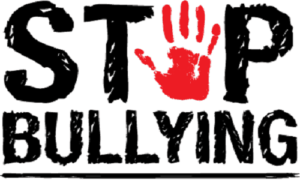 On October 1st, Harmony Science Academy-SL goes BLUE, as we work together to stop bullying and cyber-bullying. Please join us as we STOMP out bullying by wearing a blue shirt. Students are allowed to wear a blue shirt and regular school pants. Harmony Science Academy-Sugar Land is ready for another year of Robotics. We are now accepting students from 1st – 3rd grade for Jr. FLL and 4th – 5th grade for First Lego League. Our first meeting will be held on Saturday, September 29th. If your student is interested in signing up for either of the Robotics clubs please click the link below to sign up. Please note, this club is on a “first come first serve“ basis. For more information please contact Mrs. Chandler schandler@harmonytx.org. All parents are invited to a Parent Information Session this Saturday, September 29, 2018. Please join us for an Enchanted morning of “Donuts with Dads” on Monday, October 1st from 7:15 am – 7:45 am. 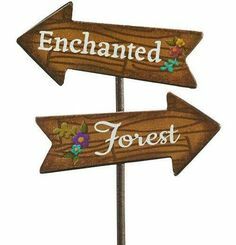 Enjoy breakfast with your child and visit the Enchanted Book Forest to let your imagination grow. Harmony Science Academy-SL Book Fair will open Friday September 28th – October 5th. For more information on Book Fair please click on the link below. You are cordially invited to our annual “Mornings with Mrs. Merchant” followed by Title I Informational Meeting (All parents who would like to be a part of our campus improvement committee and get information on Title I budget and funds are welcome to attend.) on September 26th from 8:05 a.m. to 10:00 am. During this meeting you will receive valuable information about our school and the vision for your child’s academic success this academic year. Your child will be allowed to join you for breakfast at 8:05 am in the cafeteria. Students will be asked to return to class no later than 8:20 a.m. as presentations will begin promptly at 8:30 am. You are cordially invited to our annual “Mornings with Mrs. Merchant (First Grade/GT ONLY)” followed by GT Informational Meeting tomorrow September 19th from 8:05 a.m. to 10:00 am. During this meeting you will receive valuable information about our school and the vision for your child’s academic success this academic year. Your child will be allowed to join you for breakfast at 8:05 am in the cafeteria. Students will be asked to return to class no later than 8:20 a.m. as presentations will begin promptly at 8:30 am. We are proud to introduce a new after school club – Rubik‘s Cube Club to our campus on Mondays for all students in K-5. 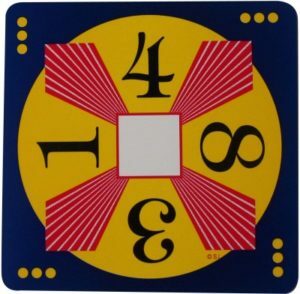 This puzzle activity has been used in many schools and youth organizations across the country to teach math, science, engineering and art concepts as well as critical thinking and problem solving skills.This STEM approved activity is designed and piloted by many teachers and educational consultants in the nation with its STEM built lesson plans for varying grade levels. With enrollment to this club, your students will have the opportunity to enhance their skills in developing strategies and solving puzzles while practicing with Rubik‘s Cube. 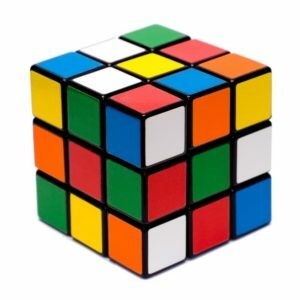 Also, there will be an opportunity for students to register for Houston Rubik‘s Cube Challenge (Competition) hosted by Harmony Public Schools which takes place on November 3rd, 2018. This club will accept students on a first come first serve basis. Please feel free to reach out to Ms. Chandler at schandler@harmonytx.org for questions. 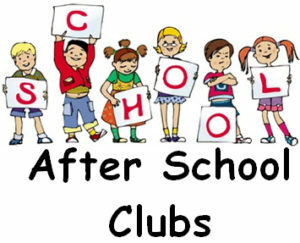 Due to a high demand for our after school “Make 24 club“, we have opened additional spots in grades 1st – 5th. If your student is interested in signing up, please visit our front office for club enrollment and payment information. We appreciate your time and support. We have exciting news for you about the ratings of our school. 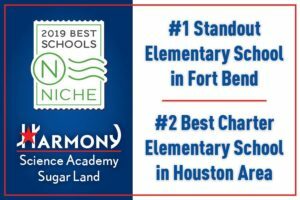 Harmony Science Academy Sugar Land has been rated #1 Stand Out Elementary School in Fort Bend County and # 2 Best Charter Elementary School in the Houston area. This glory and success would not be possible without the efforts of a devoted team, committed parents and our hardworking children. A special Thanks to all of our faculty and staff for their dedication and to our involved parents for their continued support. National Hispanic Heritage Month is Here! Harmony Science Academy-SL will be celebrating the history, culture and all of the contributions made by those who came from Spain, Mexico, Central America, South America and the Caribbean from September 15th – October 15th.. What an amazing time to teach our kiddos about the people who helped shaped this great country! Please click on the link below to learn more about this special celebration. 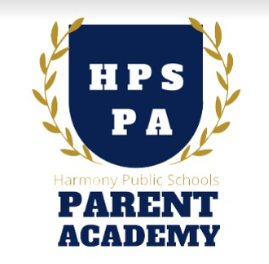 Harmony Science Academy-SL is excited to invite you to our second annual Parent Academy 2018-2019, Saturday September 29th from 9:00 am – 1:00 pm. Please click on the link below for more information on Parent Academy. 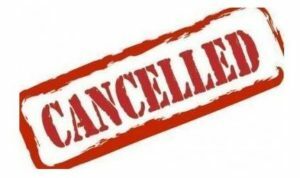 Due to Chuck E. Cheese Night, tutorials will be cancelled today, Friday September 14, 2018. We look forward to seeing you at Chuck E. Cheese between 3:30-8:00 pm. All administrators, faculty and staff look forward to enjoying Friday evening with you, your student (s) and your families at Chuck E. Cheese. Do meet and greet us while you are there! 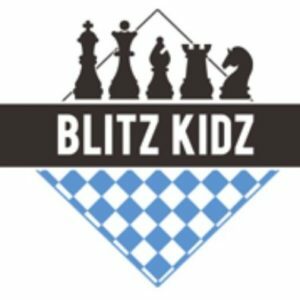 BlitzKidz will be providing after school chess coaching on our campus. Please note this is not an HSA after school activity (HSA is only hosting and no HSA employee will be in charge of instruction or monitoring students). All payments, information, and questions/concerns must be submitted directly to BlitzKidz. Here at HSA, we look for ways to partner with outside sourcing to help in the success of our students. We are welcoming students on a first come first serve basis. Please click the link below for registration and flyer. Sugar Land Academy after school clubs will begin September 24, 2018. This year we will be using a new program called “School Buddy”. On School Buddy you will be able to see after school club schedules and fees. Parents will be receiving an email to activate your account and sign up for clubs however all payments will be received at the front office ONLY. If you are interested in signing-up your child (ren) for an after school club, please log into school buddy, activate your account and sign up. Thereafter, please submit payments along with an application form at the front office. After school clubs and activities will run from 3:05 pm to 3:45 pm or 4:00 pm – 5:00 pm depending on your student’s club preference on either Monday, Tuesday, Thursday or Friday. Please see the attached list of clubs with dates and times. Club Fees are non-refundable and requests for club transfers will NOT be honored. Some clubs are yearly while others are for one semester only. Club Fees vary depending on the number of clubs your student(s) is signed up for. Club discounts are posted below. For more information please see the front office staff. Forms of payment acceptable: Credit Cards, Checks and Money Orders ONLY. NO CASH will be accepted! For more information on each club pricing, times, and days please visit our school website. For your convenience, our front office will be open on Saturday, September 15th from 9:00 am – 12:00 pm. Some clubs are based on test selection while others are on a first come first serve. 2 clubs – $75.00 each. We would like to inform you that we will start after school tutorials Monday September 10th. Tutorials will take place from 3:05 pm – 3:45 pm. Second dismissal will be from 3:45 pm to 4:00 pm. 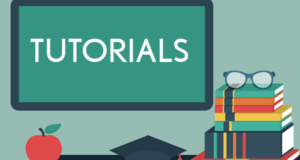 Tutorial etters have been sent home this week to inform parents if their child needs to attend reading, math, science and/or writing tutorials. Please follow the schedule given to your child. Please note, it is MANDATORY for your child to be in attendance and that attendance will be taken during tutorials to ensure and verify participation. HSA SL PTO Re-opening Nominations!! We are still accepting nomination forms for any PTO position. Get involved with HSA SL PTO to support our school and our children this 2018-2019 academic year. We are asking parents who would like to nominate themselves to fill out the form entirely and add a picture of yourself on the form. Please submit your form to Ms. Gil at shirley.gil@harmonytx.org. Please click on the link below to print the Nomination Form. https://harmonypublicschools.network/hsasl-new/wp-content/uploads/sites/127/2017/10/HSA-Sugar-Land-WHITE-letters-300px.png 0 0 shirleygil https://harmonypublicschools.network/hsasl-new/wp-content/uploads/sites/127/2017/10/HSA-Sugar-Land-WHITE-letters-300px.png shirleygil2018-09-07 09:22:202018-10-17 16:15:05HSA SL PTO Re-opening Nominations!! HSA SL is cordially inviting all of our grandparents Monday September 10th to eat lunch with their grandchildren. Please follow the lunch schedule below. 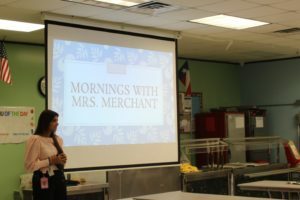 You are cordially invited to our annual “Mornings with Mrs. Merchant” followed by ESL Informational Meeting on September 12th from 8:05 a.m. to 10:00 am. During this meeting you will receive valuable information about our school and the vision for your child’s academic success this academic year. Your child will be allowed to join you for breakfast at 8:05 am in the cafeteria. Students will be asked to return to class no later than 8:20 a.m. as presentations will begin promptly at 8:30 a.m. 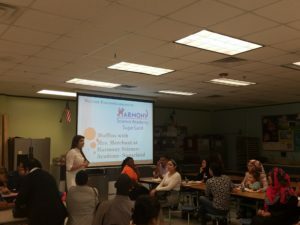 In accordance with the Texas State Plan for the Education of Gifted/Talented students, Harmony Science Academy-Sugar Land campus will begin taking nominations for Kindergarten and newly-enrolled students in grades K-5th for gifted and talented screening. Effective September 4, 2018, parents and teachers may nominate their student(s) for GT testing. Nomination forms are available at the front office and on the school website. All nomination forms must be returned to the front office no later than Friday, September 28, 2018. No LATE nominations/forms will be accepted passed September 28th. NO EXCEPTIONS!! GT Assessments will begin in October 2018. For more information about the screening and identification process, please contact the GT coordinator (Ms. Chandler) @ schandler@harmonytx.org. 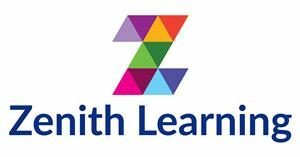 In our continued efforts to improve our dismissal procedure and prevent dismissal delays we are kindly asking all parents who have children in Zenith to please pick up your child(ren) from Zenith after 3:30 pm. Please be aware, if you are a Zenith parent and you enter the car line, you will be asked to park your car and wait until 3:30 pm for your student(s). Zenith will not release students before 3:30 pm. HSA SL will be collecting Box Tops starting September 4th – 28th. We will be rewarding students and classrooms to make Box Top collecting a friendly competition. 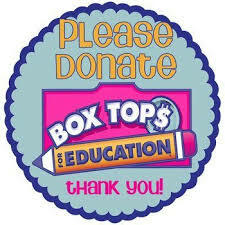 Please help support our school by donating Box Top$.